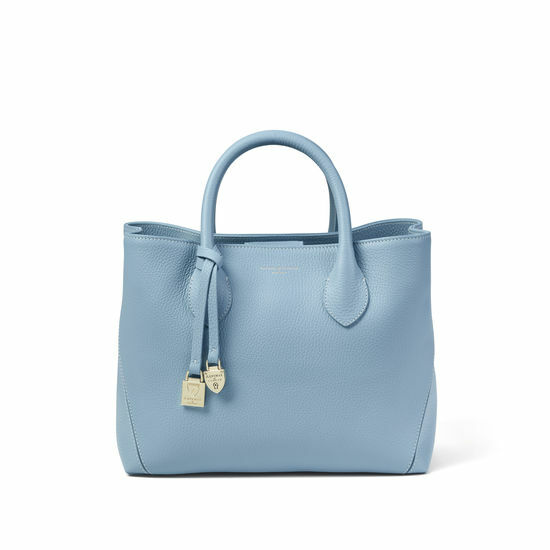 Our sophisticated Midi London Tote is an exemplary choice for the modern woman, practical and refined for both business and leisure. 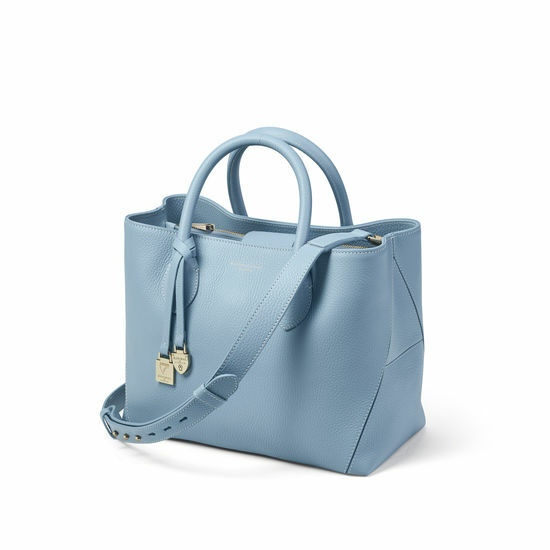 Hand-crafted to our exacting standards from the finest bluebird pebble Italian calf leather, the semi-structured design features our signature "A" stitching on the side panels. 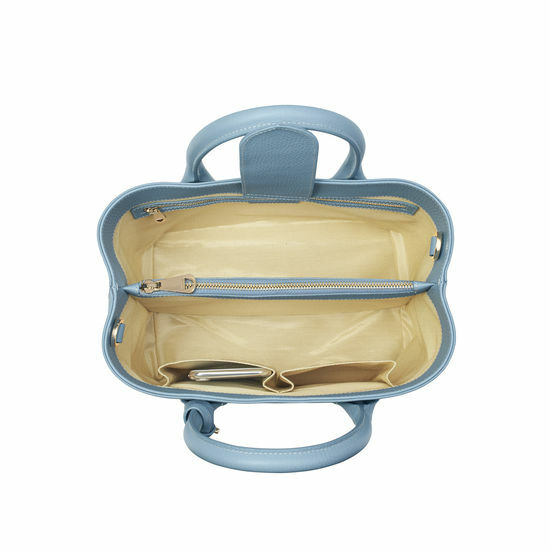 The spacious interior comprises one full-length zipped compartment, two open slip pockets and one smaller zipped pocket. A leather flap-over with magnetic dot closure secures your belongings, while protective base feet help to guard against scuffs. 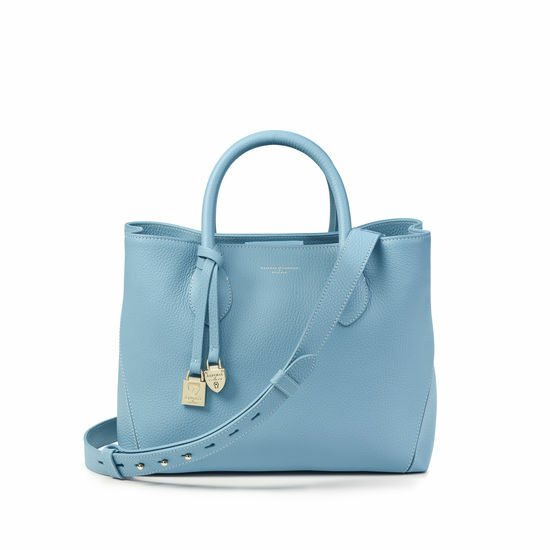 The dual tubular top handles and detachable cross-body strap with elegant dog clips offer versatile styling. Personalise the piece by having up to four initials or eight characters embossed on the cross-body strap.